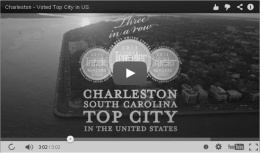 Do you get your Charleston real estate listings directly from the most reliable (re)source? It's well known that over 80% of all real estate buying and selling starts on the internet, so why would anyone waste time on a web site without the best data? Big search engines like Google, Bing, and Yahoo are great for finding and organizing random information in a highly useable way. That's why we all use them, there's not a better alternative. It would be logical to think the same is true in real estate...bigger is better, right? Not necessarily. 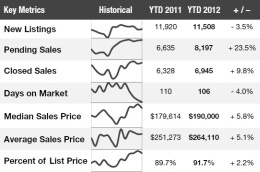 Real estate data has always been highly organized and localized. In fact, national home search web sites like Trulia and Zillow would NOT exist without local REALTORS data! However, Trulia and Zillow do not get, maintain, or update real estate listings nearly as well as local real estate associations, because they are not close to the source and often rely on "List Syndication". They are slow, inaccurate, and incomplete. When every home purchase is local, there is no advantage to a national real estate search engine, especially when these enormous web sites have bad data! MOST CURRENT: With Us, You Get it First! National real estate search engines can take over a week to add new home listings to their websites. When using our search engine you get the newest listings before Trulia and Zillow users, giving you a better chance at finding and seeing a home before it's sold. 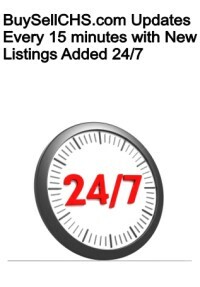 Our data is updated every 15 minutes and new listings added every 24 hours 7 days a week. NOTE: BuySellCHS.com shares 100% of agent-listed homes. Only a local brokerage can deliver those listings to you accurately, every day. INSIDER TIP: Charleston REALTORS face significant fines for not immediately updating property status. Trulia and Zillow are not members, and have no incentive to display correct updated property information. MORE RELIABLE: You Didn't Miss It, You Never Saw It! BuySellCHS.com offers free Unlimited Full Listings of ALL Charleston Real Estate For Sale, so you will never miss a property you're interested in. Trulia and Zillow consistently fail to provide all listed homes which are readily available on our local MLS IDX web site. NOTE: Zillow displayed -36% less listed homes than were actually available. INSIDER TIP: Charleston Real Estate Agents do not use Trulia and Zillow to search property for their clients. REALTORS use their Local MLS Listing Data to finds homes (so why wouldn't you?). MOST ACCURATE: They Show You Homes That Are Sold! 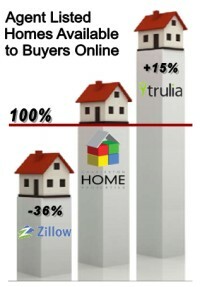 Trulia and Zillow are slow to add homes and even slower to remove sold listings. There is nothing more frustrating than finding a home (on Trulia and Zillow) only to have a REALTOR tell you that home is no longer available. BuySellCHS.com won’t display homes as “available” that are actually sold! Also, this means that if you're selling your home we remove your information as soon as you property status has changed...so people aren’t looking at your home when you don't want them to. NOTE: Trulia displayed 15% more listed homes than were actually available. INSIDER TIP: Trulia and Zillow property values are often off by as much as 40%! 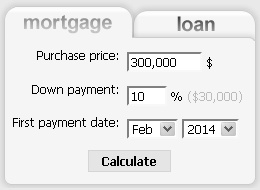 We can provide true comparables for buyers and a free Comparative Market Analysis - CMA for sellers. 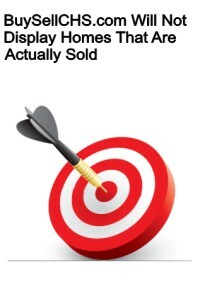 Overwhelmingly internet buyers want ALL local listings, on one EASY web site, CORECTLY displayed, as FAST as possible. That's exactly what we do. 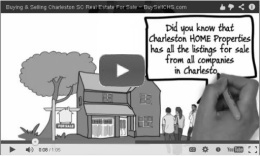 BuySellCHS.com is the only Charleston real estate homes search you need. It’s all free, so get to it, and start searching and comparing now. Need help? Just ask, and we will set up a personal MLS IDX saved search and email alerts for you. Unlike Trulia and Zillow, we're here when you need us! Enjoy, and let's Start a Real Estate Conversation!